Julie-Ann Harper, self-publishing expert and founder of the Pick-a-WooWoo Publishing Group, regularly assists authors who encounter problems with uploading their files to IngramSpark’s print-on-demand and distribution platform. Here, she shares her tips to help you format your books for a successful file upload to IngramSpark. For indie publishers, formatting content can be one of the most exasperating aspects of the publishing process. This article will give you options and guidelines to ensure your print book is ready for upload to IngramSpark. Print-on-demand (POD) gives authors a low-cost, low-risk way to enter the publishing business. POD provider IngramSpark helps authors avoid the need to hold inventory, while taking care of the distribution directly to major distributors. As a self-publishing speaker and indie publisher activist I always recommend using IngramSpark to print and distribute books to online retailers, bookstores, and libraries worldwide. IngramSpark helps you get your content to readers, however, formatting your files to meet their guidelines will take some work. Here is a little more on how to format to get you started. Formatting is a term that has mixed-use in our industry. In-house we use ‘formatting’ to describe cleaning the clutter from a Word document before it’s given to our professional book designers—who then lay out and design the book within InDesign, a professional book layout software. That said, the word ‘formatting’ is quite commonly used to describe the creation of an ebook or print book using various do-it-yourself (DIY) tools available. For this article, I would encourage you to think of formatting as the creation of a book file from your screen to IngramSpark’s platform. As a resource expert and friend of IngramSpark, we see many formatting issues that prevent a successful upload. Creating the interior document in Word without first adjusting the trim size (of the Word document) to suit the trim size of the final book design layout. Countless authors approach us with concerns that the A4 word document (default word document size) which they converted into a PDF is rejected by IngramSpark pre-media. Essentially you cannot put a square peg in a round hole. Start with the book size you have in mind (for example, 5 x 8 inches) in the Word document. Creating a cover in Word or Photoshop and uploading this directly to IngramSpark. Again, start with the end in mind. Always download the cover template for your book from IngramSpark first. Interior: one complete interior file (formatted as .pdf). This is every page in the book itself. Therefore, it includes any blank pages, whether they are numbered or not, from beginning to end. Individual PDFs of each chapter or parts do not make a ‘complete’ book. Cover: one complete cover file (formatted as .pdf). This means all the information (text and images) on the front cover, back cover, spine and flaps (if the cover is a dust jacket) assembled into a single PDF. Enter the number of pages, book size, and paper choices, into IngramSpark’s cover template generator and their system will email you a template with the correct specifications and layout required for compatibility with IngramSpark. If the cover isn’t created from their template you will not be able to upload it to the IngramSpark system. It is important to note that the spine width on the cover is dependent on the final page count of your interior as well as the print book creation service you choose. A PDF of the front cover alone is not a complete cover PDF. The path you take to format your book will depend on your budget, technical abilities, and time available. As a professional bookmaker, of course, I will always advocate professional design first and foremost. Research shows it is worth the costs and translates into higher book sales. However, we understand that not every author has the funds to do so. Costs for formatting can range from free DIY solutions and low-cost book design templates, to hybrid models worth a few hundred dollars. Authors Wish is a one-stop shop compiling practical and affordable tools that we have reviewed, to help authors on their self-publishing journey. The first decision you need to make therefore is whether to utilise the services of an independent book design and formatting specialist, or to do it yourself. These are just a small selection of what is available for the DIY author. With professional guidance built into these programs, your book will be as close as possible to an experienced designer. Book Design Templates (in Word) provides sizing, layout, and aligns all of the essential elements of your interior. They highlight some of the self-publishing errors made and how to avoid them, with clear instructions on how to convert to a final PDF compatible with IngramSpark. Pressbooks is a robust, fully featured publishing tool—if you can use WordPress websites and blogs, you can use this platform. It outputs your books to PDF and EPUB and lives in the cloud, so contributors or editors can also work on your book. This DIY option will give you a professional book if you follow all the instructions. 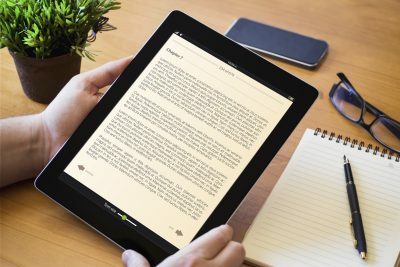 The Reedsy Book Editor is a beautiful production tool that takes care of EPUB and print-ready PDF file formatting and conversion before you’ve even finished writing. Bookow not only formats, but also reduces those errors often found in Word documents. You can choose from various book templates for a semi-professional look. We love the simplicity of this tool; very affordable and excellent customer service. Professional design takes years to master, but these tools will at least give you a head start to create an effective design from DIY platforms. Canva is a free, online graphic design tool and is the simplest design program we’ve encountered that enables you to become a designer. It contains templates and predesigned drag-and-drop elements in an easy-to-use interface for designers and non-designers alike (ebook covers only). DIY Book Covers saves you from having to learn graphic design from scratch. It allows you to design the cover you have in mind if you take the time to familiarise yourself with the actual set up. Making use of this resource is a significantly cheaper option than most. There are countless new author service providers every year, and many are first-time authors selling their knowledge. Fixing one toilet doesn’t make me a plumber. Cutting my niece’s hair doesn’t make me a hairdresser. Getting dressed every morning doesn’t make me a fashion designer. You get the picture. Publishing a book can be relatively easy but not knowing publishing protocol could be the death-knell for your book. Mistakes such as page numbers on blank pages, content page on the left-hand side, and incorrect page numbering, for example, can make a significant impact on the professionalism of your book. Industry reviewers and readers will notice the difference immediately if your book is not set out correctly. Search the platform you intend to use, see who they recommend. Check your local writers association for suggestions. Utilise crowd-sourcing sites. Just name your price, post your project and then watch as designers bid on your job. 99 Designs is a means to find and work with talented freelance designers online. IngramSpark is a MyIdentifiers distribution partner.